The Little Cat package is perfect for those looking to have a weekend business going to fairs, college campuses, street festivals, and other high traﬃc events near your home. 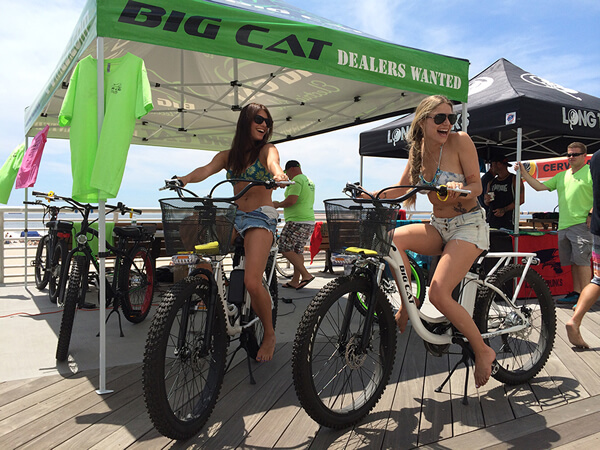 Just set up your “Pop-Up Tent” with Big Cat E-bikes and instantly gain passerby attention. 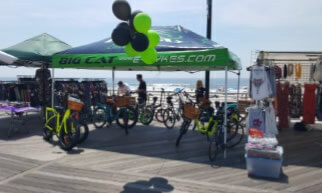 Everyone loves bikes, and each Big Cat has a striking design that’s sure to capture their interest both young and old. You’ll be the hit of every event. They sell themselves! 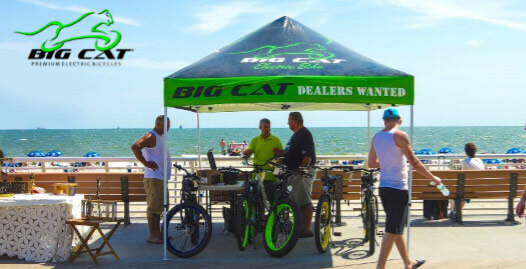 The little Cat package includes four (4) Big Cat Bikes of your choice & variety of Accessories to get you started! 10’x10’ Big Cat Branded Pop-Up tent & Big Cat branded marketing signage to help you stand out. 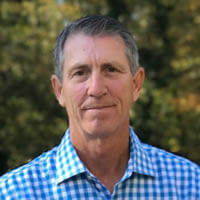 Big Cat business consultant guiding you on promoting sales & rentals for your success. BigCat® USA oﬀers flexible packages with easy set-up options to guarantee all levels of business knowledge and needs are satisfied. All you need to do is choose which options are best for you! 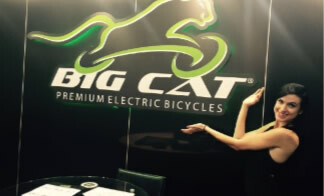 BigCat®USA will do the rest to get you on your way to gaining immediate cash flow. Join the Big Cat USA team that supports all lifestyles, promotes healthy living, and encourages a positive mindset. 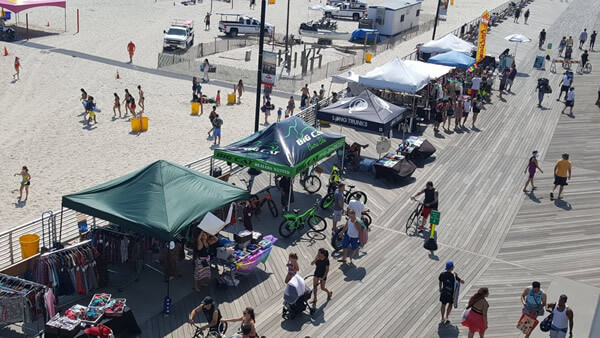 “In just 2 years I was able to go from a pop up tent covering a small part of the city to now owning and operating a full size van and covering the entire state on my free time. 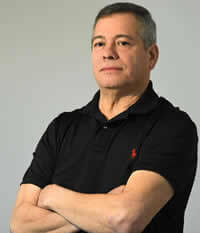 This is a perfect way to start a small business if you have a family."